In 1947, the Reverend John Needham who was the vicar of The Church of St. John the Evangelist, Hills Road, Cambridge, was keen to promote a community spirit in the parish, and to that end encouraged a variety of clubs and interests. For Christmas of that year it was decided to hold a Christmas entertainment, and as part of that entertainment, to put on a one act play. The only two people in the congregation with any experience were Beryl and Barbara Trotman. They belonged to the Cambridge Theatre Group based at the ADC and persuaded Joyce Quinney to produce the play "Five Birds in a Cage" which was performed at Christmas 1947. As the play was a great success Joyce then produced "Everlasting Flowers" the following Christmas. This was also well received, so well in fact that the Reverend Needham encouraged the formation of an amateur drama club which became known as the St. Johns Players. In 1949 two full length plays were planned. 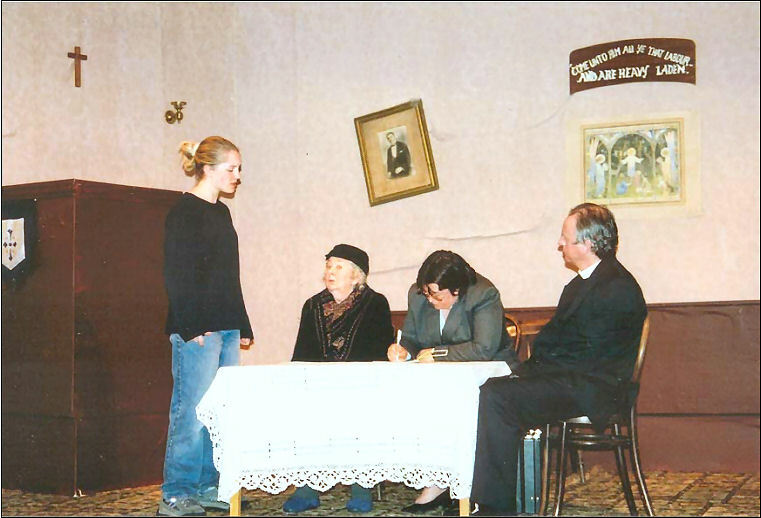 However, the first play, "Painted Sparrows", was stopped by the police because the hall was not licensed. The performances were quickly rescheduled after the necessary licenses had been obtained. The Players fell foul of the authorities again when it was discovered that an entertainment tax was due on each ticket sold. Stamps had to be quickly purchased from the post office. Despite these setbacks the Players continued performing two plays a year until 1954 when this was increased to three. This continues to the present day. 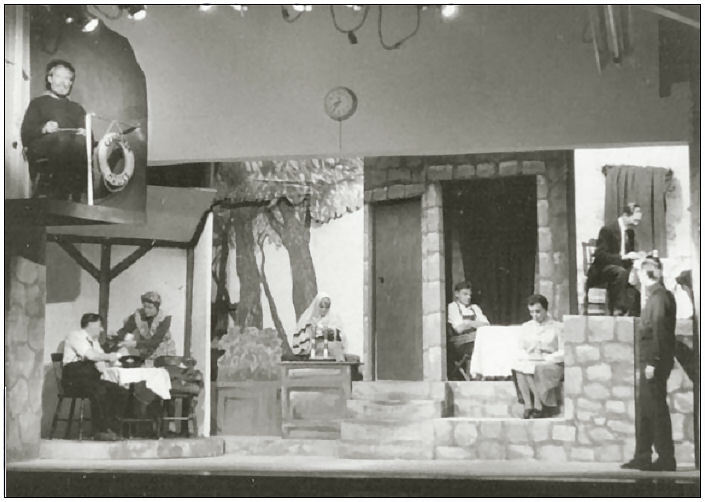 In 1966 the Theatre Club started. This gave the growing number of loyal followers advanced notice of each production and allowed them to book tickets before the general public. Membership of the club has grown over the years and this is still a major source of support. The Players became well known for the quality of their sets. The sets have ranged from an attic in The Diary of Anne Frank to a ballroom in Lady Windermere's Fan, to a castle in France in 1183 (The Lion in Winter) to an abandoned Methodist chapel (Clerical Errors) and from a complete village in Under Milk Wood; to a 1950's living room in The Sound of Murder. Recently, we created a garden set for Round and Round the Garden, a barn in 1830s Ireland for Translations and a Tudor palace for Katherine Howard. As always attention to detail is the key. Over the years the group has had more than just a passing involvement in the stories it portrays. When performing The Diary of Anne Frank, Anne Frank's father was contacted for permission to use Anne's photograph in publicity because Anne and the actress playing her, Louise McGregor, looked so much alike. He agreed, and requested photographs of the play be sent to the Anne Frank Museum in Amsterdam. In 1992 disaster struck! The Players lost the use of St John's Church Hall, our home for 45 years, when it was sold. 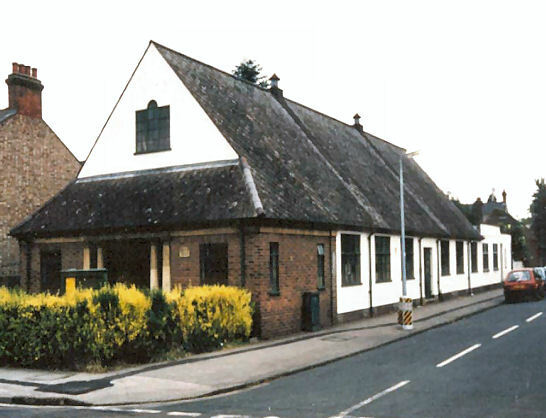 Several alternatives were considered but the opportunity to move to Townley Memorial Hall in Fulbourn arose and was gladly accepted. Many of our supporters followed us to our new home and we have gained a local following as well. In 2003 we learned that the Townley Memorial Hall was to be redeveloped and improved, and we wondered for a while whether we would, once again, have to move. In the event we need not have worried. We are very pleased with the recent renovations and expansion of the Hall. The Hall now forms part of the Fulbourn Centre, providing improved parking and facilities for our members and audiences. We even managed to avoid missing a production while the building work was taking place. And Then There Were None in February 2006 was our last major production in the old hall, and we were back in October 2006 for Lucky Sods, our first major production in the new hall. 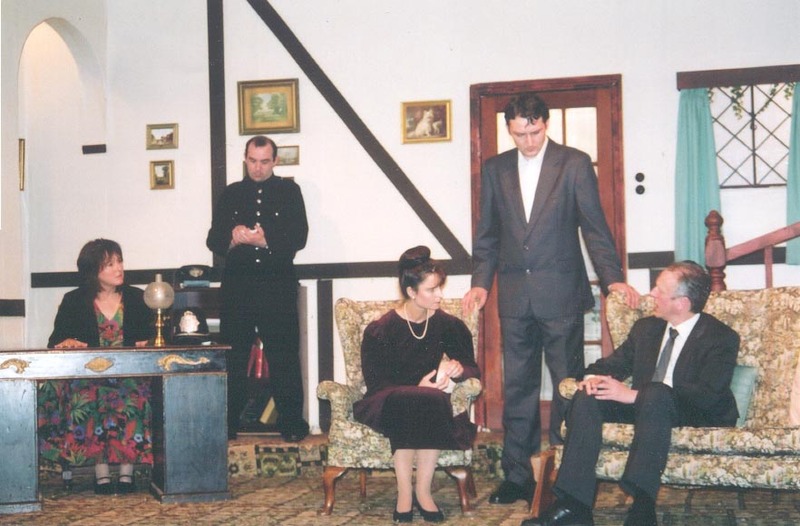 In June 2006 we performed two one act plays (which we called Banana Split) in a stripped down form just one week after the hall reopened - almost a St John's Players Unplugged! During 2007 the group celebrated its 60th anniversary with a very ambitious production of Brideshead Revisited and a dinner for past and present members. It was a delight to see so many familiar faces. 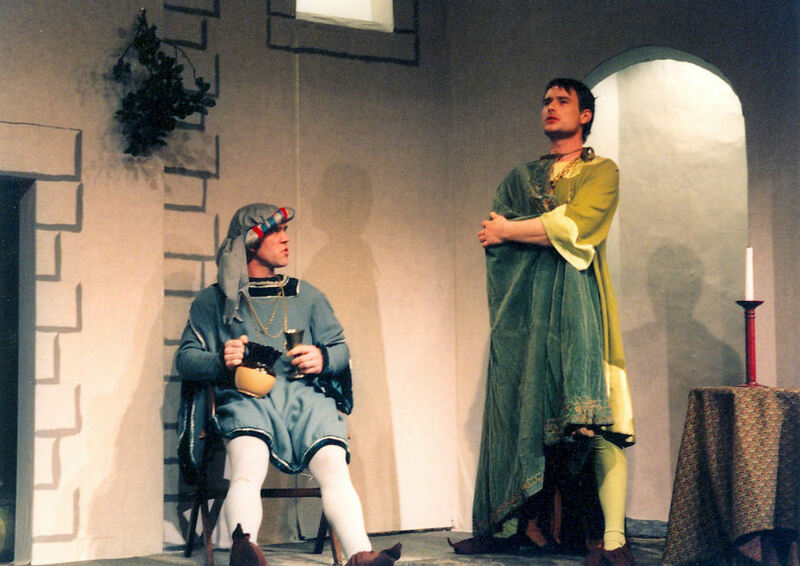 Over the last 60 years well over 300 actors and actresses have performed in our productions, some in only one production but others have appeared in more than fifty! In addition apart from the people you see on stage here are many more behind the scenes, everybody contributes to the success of the performance but it would all be wasted effort without an audience - our most important participants! We wonder if the Reverend Needham, Beryl and Barbara Trotman, Joyce Quinney or the others knew what they started with "Five Birds in a Cage" in 1947? Probably not, but they would be pleased. We salute them, and look forward to our centenery in 2047.